Drive Stand Assist - 400lb capacity. Model 13246 electric Stand-assist patient lift. 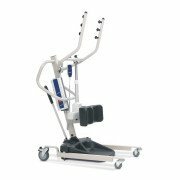 This Drive Medical Electric Stand Assist Lift provides an easy way to lift and transfer patients who have trouble standing. 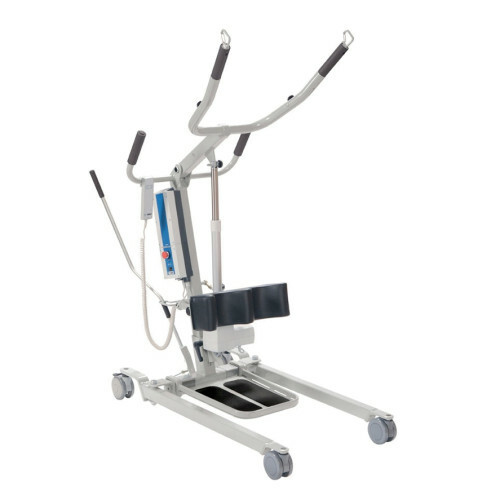 This lift makes it safe and comfortable for both the caregiver and patient to perform simple transfers and toileting. 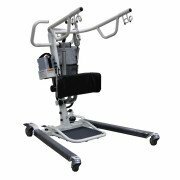 This lift can also be used to dress and undress the patient in a comfortable and convenient fashion. This lift also includes a powerful Linak Battery and a wall mounted charger. Provides stable assistance in standing, transferring and toileting. Four sling attachment points enable the lift to accommodate a variety of stand-up sling designs. Extra-wide, non-skid foot plate provides a stable base for foot positioning. Soft, padded adjustable leg support–includes a support strap to secure legs to the support. 4.5 under bed clearance provides access undermost long term care beds. 24 V DC motor provides power and reliability. Motor has an emergency stop button and manual lowering feature. Fast charging, re-chargeable battery is removable to eliminate lift down-time. Battery has a charged and low-charge indicator. Audible tone when charge is complete. 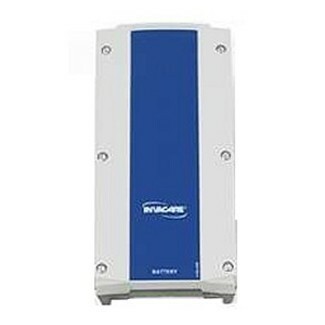 Battery charge meter indicates the battery power status while in use. Audible tone when battery power is below 50%. Includes removable, rechargeable battery (item #13258), charging station (#13255) and wall mount bracket (item #13260).